Emomali Rahmon is a leader whose political whit served him well: not only is he the President of Tajikistan for the 26th year in a row, but he has also been able to personally enrich himself and his family. Having eliminated most of the checks on his power inside the country, something wholly different is keeping Rahmon up at night: Since late last year, he is using every opportunity to alert Moscow and his fellow Central Asian leaders to the ever-increasing threat of terrorism. Not only is Tajikistan’s southern neighbor Afghanistan a notorious hotbed for extremists of all kinds, domestic radicalization and returnees from the so-called “Islamic State” all pose a threat to the security and stability of the region. Moscow has reacted by sending military hardware, beefing up Russia’s own military base near Dushanbe and providing technical assistance. But while strengthening border security can help prevent the Afghan conflict from spilling over into Central Asia, sustainable solutions to the out-of-control domestic radicalization processes in the region are much harder to find. And it is precisely here that Central Asia’s anti-terrorist measures are often counterproductive. In fact, the region’s political and economic makeup is further conducive to the rise of domestic extremism. But first, let us consider how violent radicalization is broadly understood in academia. Marc Sageman, a prominent scholar on the issue, describes radicalization in his book “Misunderstanding Terrorism” to occur along four basic lines: moral outrage at recent political events, an ideological framework that broadly explains these incidents (for example, “the West is at war with Islam”), personal experiences (off- or online) that resonate with this framework and, finally, mobilization through existing militant networks. The importance of each factor for pushing an individual towards radicalization is different in every case but in the end, a radicalized person usually emerges from a wider, non-violent protest community that has formed around a political issue. An extremist will then adopt violent means to pursue what he perceives as the movement’s common goal. This is especially true when these people believe that change is impossible by peaceful means. Crucially, state crackdowns on the broader movement drive radicalized individuals underground where they develop a paranoid mindset and have limited communications to the broader community. Conditions are perfect for a clean-cut “us versus them” narrative to emerge – and to remain unchallenged by different viewpoints and open discussions. An effective anti-terrorism policy by the state thus needs to create inclusive political systems that channel discontent into the polity instead of having ever-more frustrated anger build up outside of it. Crackdowns on real extremist groups must also be seen as legitimate by large swaths of society. Crucially, local communities must be engaged to adequately address pressing social, political and economic demands. In his book “Securing the City”, Christopher Dickey also details how these communities serve as important early-warning mechanisms for the New York Police Department, which is careful to build extremely close relations with them to quickly identify potentially radicalizing individuals. Radicalization must be understood equally as a security and a social problem that requires a diversified response. Clearly, when communities are politically mobilized around a societal or economic issue, using the security services to squash grassroot demands is not solving anything; the issue will just be pushed back under the surface where it will continue to boil until the next – more violent – breakout. Over-emphasizing the role of the security services like this is just like the famous analogy of holding a hammer – and suddenly every problem looks like a nail. “Securitization” is a term that describes this process of looking at all problems through a security lens. Unfortunately, this is exactly what is mostly happening in Central Asia where Securitization of broad societal issues is underway. This mostly concerns the role of religion in society. In Kazakhstan, new broadly applied laws unreasonably restrict religious life, as Boiko Hristov laid out extensively. Fergana has equally reported how anti-extremism and anti-terrorism charges have been used in absurd ways against Civil Society activists. 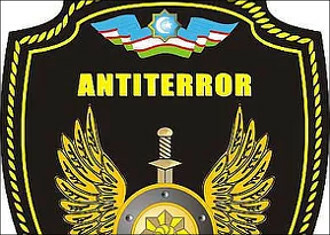 Concern about terrorism is similarly running high in neighboring Uzbekistan where an Islamic Movement and other groups created significant unrest especially in the early 2000s. The government of Islam Karimov responded with brute force and massacred hundreds in the eastern Uzbek city of Andijan in 2005. While things have calmed down since then on the surface, society and religion are being extensively policed but extremism charges are routinely brought against political opponents. To its credit, though, the government is also working with local organizations like women’s or religious groups to intervene early in radicalization processes. Uzbeks are, however, frequently radicalized outside the country itself; be it in Russia, where the internet is much less suppressed than at home or even in the United States where an ethnic Uzbek recently carried out a highly publicized attack in New York. Kyrgyzstan is having significant problems with domestic radicalization because of economic despair, corruption, high unemployment, the harsh discrimination against ethnic Uzbeks in the south of the country and radicalization of isolated, overworked and frustrated labor migrants in Russia or Turkey. At home, Arab foundations are spreading extremely conservative versions of Islam. The government’s response has again been a set of widely-applicable laws that can stifle freedom of religion and expression. Anti-terrorism legislation has again led to highly questionable convictions, as Fergana has previously reported. Tajikistan has recently banned the only representation of political Islam in Central Asia, in form of the Islamic Renaissance Party (IRP) that had been instrumental in the 1997 peace agreement after half a decade of civil war. President Emomali Rahmon has, however, since established complete control over the country’s politics and thus felt confident enough to scrap the IRP completely and persecute its leaders. The authorities’ campaign risks backfiring, says Professor Alexander Knyazev, a Central Asia analyst, because the group, "acting as a legal political force, had served as a lightning rod (for dissent), deflecting radical Islam." All of this is alienating important stakeholders in battling extremism. Meanwhile, both government repression of religion and social conflict are on the rise. Turkmenistan manages to square an unusual combination. Its famed neutrality in foreign policy has left the country mostly off the target lists of international terror groups so far but there are indications that this might change, especially given the deteriorating security situation in northern Afghanistan. At the same time, the country is full of disillusioned and frustrated people, given that it is one of the world’s most isolated and repressive regimes that relies on regionalist alliances to suppress other parts of the country. The region overall exhibits a pattern of radicalization that sees young Central Asians “wanting to belong to something bigger than themselves, often in a situation in which they feel isolated and alone. They are looking for meaning in their lives, for something significant to be a part of", Noah Tucker, a political scientist, told the BBC. ISIS recruiters and a whole variety of violent extremist groups all over the region are actively targeting these youngsters from poorer regions that face discrimination. In response, governments crack down heavy-handedly on civil society as a whole and severely punish wholly legitimate groups – all of which can set the radicalization process that we discussed at the outset in motion. Just as in Europe, prison then often works as an incubator for a frustrated person to become a full-on extremist. Furthermore, there are hardly any rehabilitation and de-radicalization programs that support people to return to a normal life in society. Central Asia’s states are currently pursuing a “Securitization of Society” – viewing substantial junks of citizen activity outside direct state control exclusively through a security lens. What is needed, however, is a “Societization of Security” by coming to an understanding that inclusive political and economic systems are not only integral to a country’s wealth (as Daron Acemoglu and James Robinson have strikingly shown in their book “Why Nations Fail”) but crucial to its security as well. Radicalization is best combatted by bringing disgruntled groups into the political system’s institutions. Like this, the fluid milieus of discontent from which extremists emerge, can be dried out. At the same time, ending discriminatory practices against minorities and political opponents and strengthening the rule of law will go a long way towards that goal as well. Legitimacy is the key word in all of this. From looking at the region realistically today, it is clear that meaningful anti-radicalization policies would require a major overhaul of the status quo. Coming back to Tajik President Rahmon, he recently said that “Islamic State” is the “modern plague”. Rahmon would be well-served by pursuing his own analogy further: as soon as it was known that rats were the main culprits for spreading the genocidal “Black Death” in the Middle Ages, humans did not focus their entire energy on killing every single rat they could find. Rather, they altered the environmental framework by introducing sewers, hygiene and modern sanitary facilities. In the same way, it won’t help to lock up or kill every single radicalized person in Central Asia. What is needed is something analogous to … well … the toilet – in order to get to the root of the issue. Responsive and inclusive institutions might have very little to do with the sanitary facilities we use every day, but both are key to effectively tackle problems that have cost humanity too many lives already. Follow Toni Michel on Twitter @villageescape.